Grab a book. Read it. And if you can, replace the one you borrowed with another. That is the idea behind a little free library, and downtown Ellwood City is one of the latest neighborhoods to have one. It was installed Tuesday near the community plaza on Lawrence Avenue. Hannah Hamilton came up with the idea as a service project for AmeriCorps, where she is currently employed. Hamilton graduated from Geneva College in May and is pursuing an online master’s degree from Slippery Rock University to become a reading specialist. She has enjoyed reading as long as she can remember and wants to share that love with others. 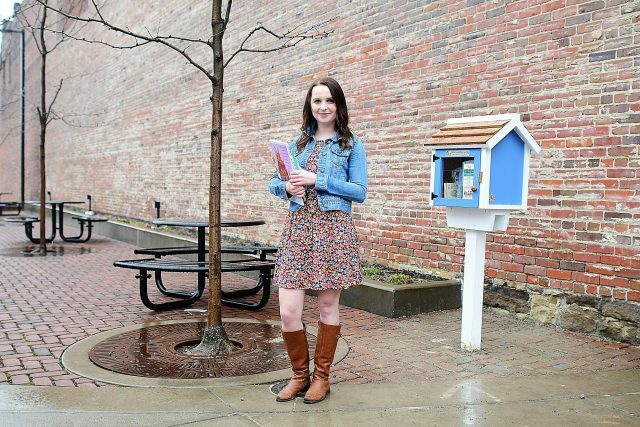 Hamilton started the process several months ago, and approached borough council, which granted approval for the Ellwood City Little Free Library. She also spoke with Brad Ovial of Ellwood City Revitalization who helped her find the right spot to draw more people to Ellwood City. “The community plaza is the center of downtown,” where there is a farmers market nearby on Saturdays during the growing season and a tree lighting ceremony at Christmas, to name two events, Hamilton said. She purchased the library unfinished, and her mother and grandfather painted it. She also posted her request on Facebook. The response was more than she could have imagined. Hamilton received more than 1,000 books and many were dropped off at her house. Right now, they are mostly children’s and young adult books but she hopes to provide more books for adults soon. 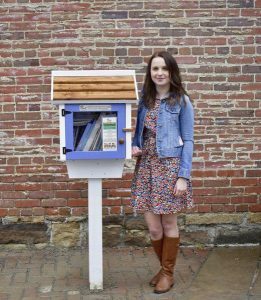 The little free library can hold about 50 books at a time depending on their size, Hamilton said, adding she plans to keep books in the trunk of her car and keep the fixture filled at all times. There is no library card and no membership sign-up. 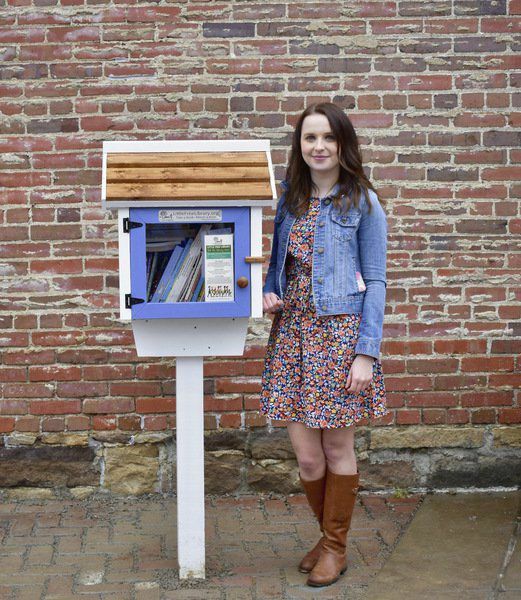 Anyone can access the little free library with its latch system operation. The youngsters she has spoken to told her that the concept is different, new to them and exciting, and she hopes they visit a lot. It’s another good thing for Ellwood City, she explained.